Agassiz/Harrison/Chilliwack – The Chilliwack Division of Family Practice will be the first to acknowledge that there is a shortage of doctors available to the community as general practitioners. Katrina Bepple, the Executive Director of Chilliwack Division of Family Practice wants to shed the light on the need in Agassiz, Harrison Popkum and Rosedale, with a resource that has been around since 2014, but that you may not be aware of. It’s called PAM – Patient Attachment Mechanism. This service will assist you in finding a primary health care provider in Chilliwack, Agassiz-Harrison, or Hope/Fraser Canyon. Bepple notes that the need in Agassiz and Harrison is viral and this resource is available. 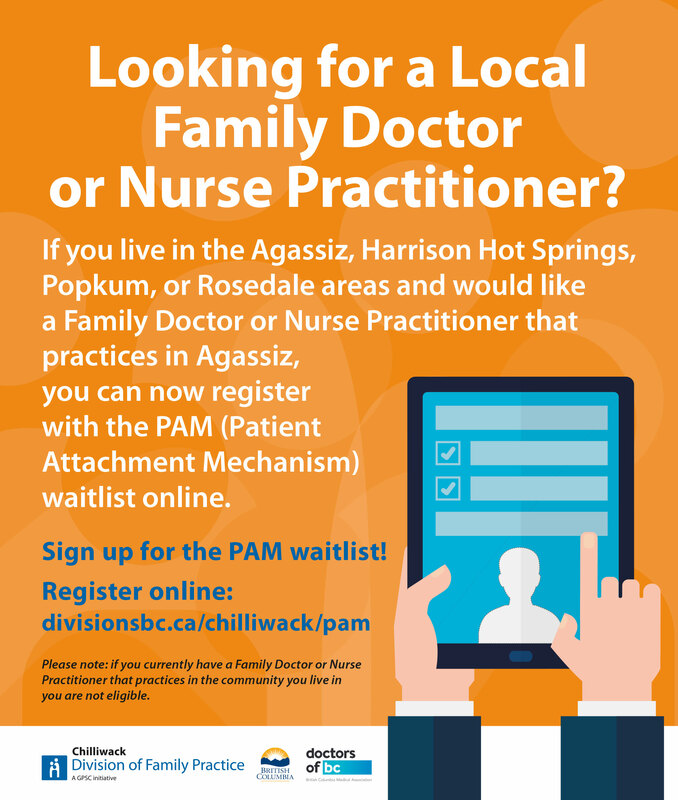 Bepple adding : “There is now capacity for people who live in the Agassiz, Harrison Hot Springs, Popkum, or Rosedale areas to get a local family doctor in Agassiz”. The website details are here. NOTE that if you currently have a Family Doctor or Nurse Practitioner,that practices in your community, you are NOT eligible for this program. 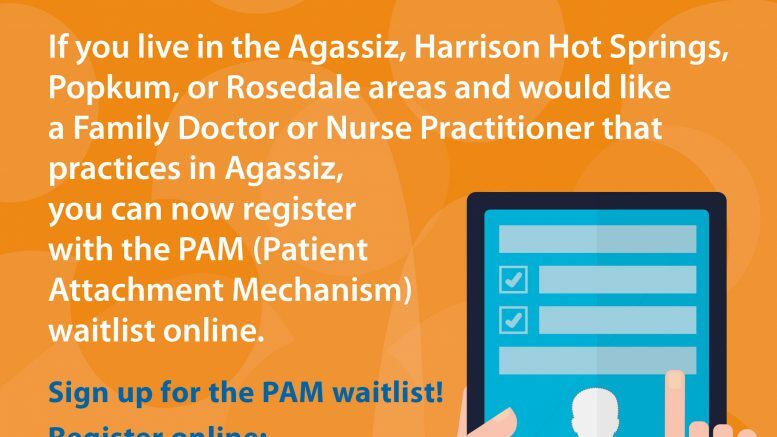 Be the first to comment on "New Search Mechanism To Find A Doctor in Agassiz, Harrison"